Netflix may be mum on how many subscribers watched “House of Cards,” but some creative number-crunching from a broadband technology firm offers a revealing look at viewing patterns for the series on one broadband network. Extreme binge viewing was in full force during the first weekend “Cards” was available to subs, according to data from Procera Networks, which found on one broadband network that about one-quarter of those who watched the first episode motored through all 13 episodes. Procera won’t identify the ISP because of client confidentiality. But given that the company measures usage across the networks of five of the top 10 cable operators and three of the top 5 DSL operators in North America, Procera has as good a glimpse of audience behavior as there is to get outside of Netflix’s HQ. 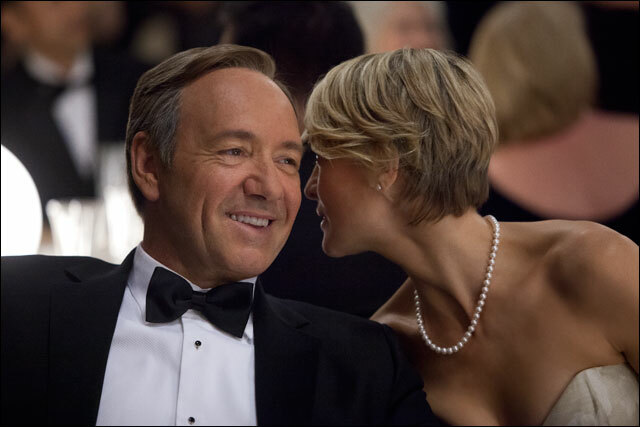 By Procera’s yardstick, just over 2% of Netflix subs on the network watched the first episode of “Cards,” a number that fell to 1.3% for the second episode. By the 13th episode, .59% was still hanging on. While those numbers might seem tiny, consider that “Cards” is just one 13-episode piece of a massive vault of film and TV content. And the retention level alone across 13 episodes speaks to the early emergence of a diehard fan base for “Cards” willing to take 13 50-minute chunks out of their weekend. Although TV industry execs have called on Netflix to release viewing stats for its bold foray into original series, the Los Gatos, Calif.-based company has its own justification for keeping those numbers data close to the vest. In Netflix’s view, providing ratings information would make little sense considering that the initial sampling levels so crucial to a premiere episode in traditional TV is meaningless to a company that measures the value of a series over the life of its run. Netflix has noted before that binge viewing of acquired shows can get pretty intense on its platform, but never for its own originals. Last year, Netflix chief content officer Ted Sarandos disclosed that 50,000 subs watched the entire 13-episode fourth season of “Breaking Bad” the day prior to its fifth-season premiere on AMC. But while whole numbers of just how many subs were watching “Cards” were not made available by Procera, analyst Cam Cullen noted that overall traffic levels across North American ISPs did not register a significant uptick over Friday and Saturday. That’s surprising given not only the advance interest “Cards” kicked up via marketing both online and off, but that Netflix was offering a free month to new subs as well. The first episode was also available to non-subs. Cullen studied “Cards” viewership behavior across three different ISPs. On one, he noted that while Netflix commanded about 30% of overall traffic volume, “Cards'” portion of that traffic peaked at 5%. There was some variance from network to network, with another ISP peaking at 11%. Those numbers are not for the first episode of “Cards,” but for consumption of any of the 13 available. While Netflix offers little visibility into viewing patterns on its service, execs have repeatedly emphasized that no one piece of content tends to dominate usage. One grain of salt: that assertion is typically made after Netflix loses a major licensing partner as it did with Starz, where the point is to minimize the impact of the loss. Of course, viewing levels only means so much to a streaming service that doesn’t carry advertising. What percentage of those watchers are new subs is the most important data point. With its investment in “Cards,” Netflix execs are hopeful that the show and other original programming to come will drive in a fresh wave of subscriber gains across a worldwide footprint that is currently 33 million strong.